Who makes history? People! It’s all about folks like us. But it’s fair to say that some people make more history than others. They’re history VIPs! In this pack we’re going to look at some of those people to see what they did, and how they made so much impact that we’re still talking about them. There are brave women fighting for freedom: warrior queen Boudicca battling the Romans, and Emmeline Pankhurst campaigning for the women’s vote. There’s King John – the baddie of the Robin Hood stories. Was he really as rotten as they say? 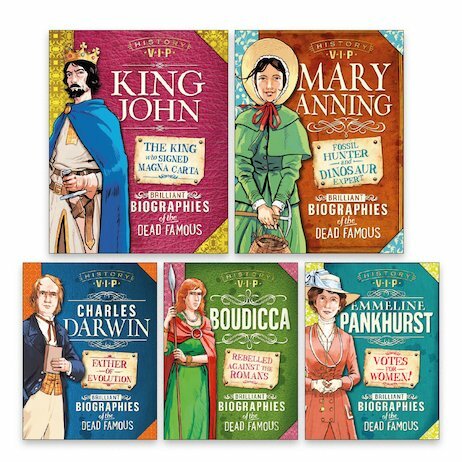 Or what about scientific innovators like Charles Darwin and fossil-finder Mary Annis, who dug up and identified dinosaurs? Who impresses you most?